This pattern is a small spin on an original and it's a bit different than the ripple crochet technique that I (and perhaps you) am used to. It uses the typical increase and decrease stitches for the hills and valleys, but there are no stitches between them. The only stitches are the increase and decrease ones and it creates a beautiful ripple. 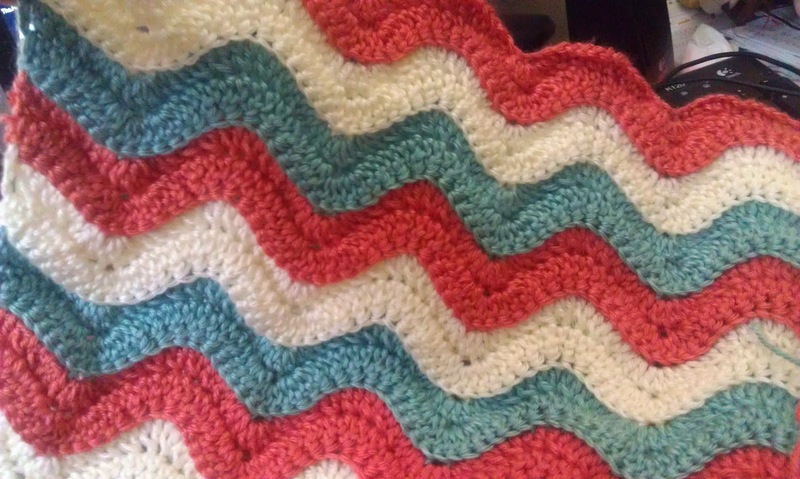 I found a similar pattern with ridges every so many rows but only on one side. I felt it made the reverse side of the blanket less appealing. I wanted this beautiful look on both sides, so I made my pattern reversible! I took photos as I went along with the special stitches to help those who may struggle with the pattern instructions. Please note! 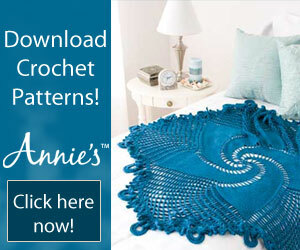 This pattern is more for the intermediate/advanced crocheter. As stated previously, I do work a PT job so I may not have time to answer every inquiry for those who struggle. Special Stitches: dc2tog - Double crochet 2 stitches together. It means just what it says. 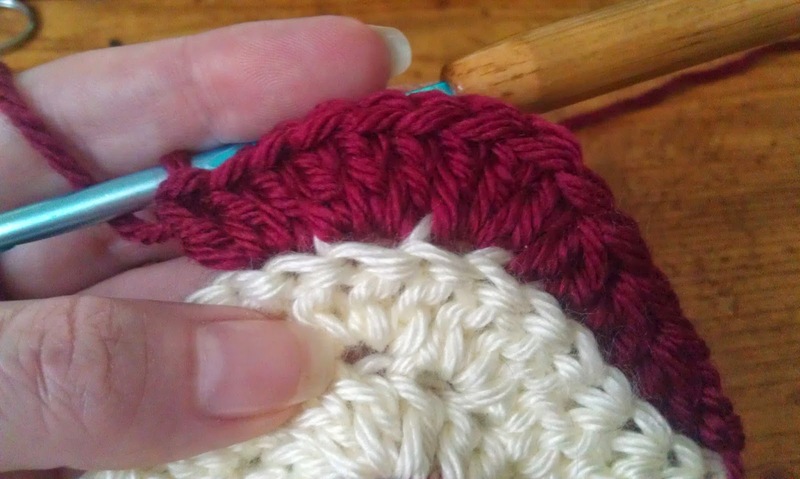 You'll create one stitch from two as follows: yarn over, insert hook in the the next stitch (back loop only for this pattern)yarn over again and draw through the stitch and then yarn over and pull through ONLY two loops on your hook (it's a double crochet without finishing it). 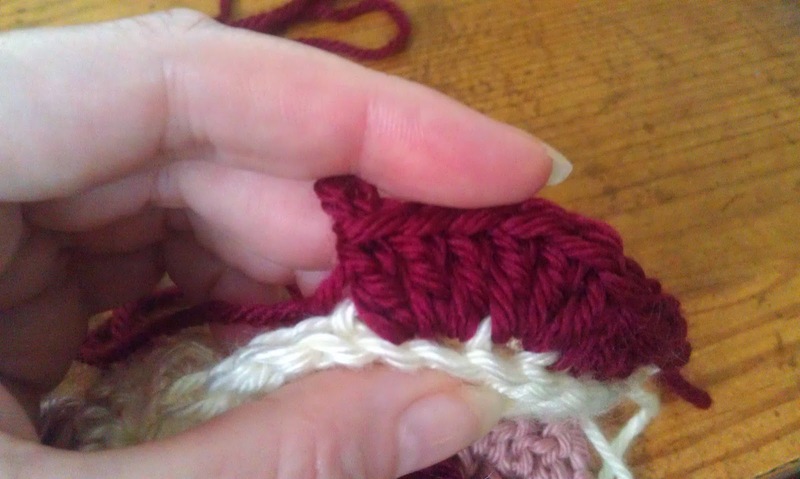 Next, yarn over, insert hook in the next stitch, (back loop only for this pattern) yarn over again and draw through the stitch then yarn over and pull through two loops on hook, yarn over and draw through the remaining three loops on your hook. 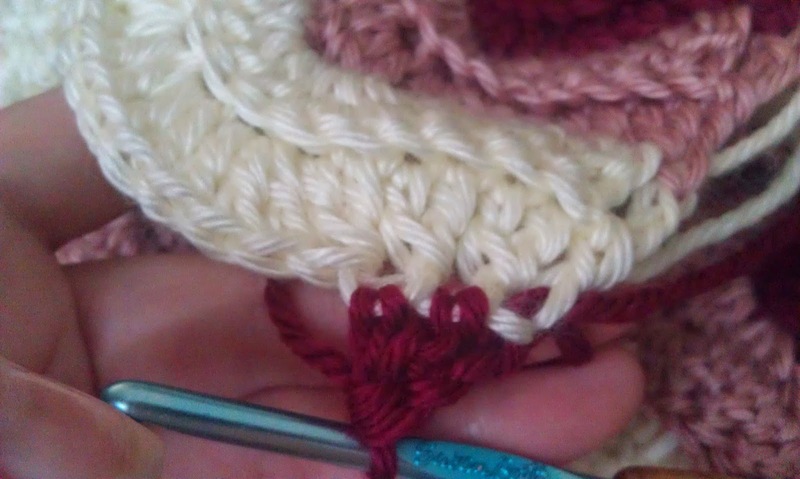 Yarn over and pull through stitch, yarn over again and draw through 2 loops on the hook, the above photo is what you should have; an unfinished double crochet. Begin the second part to the special stitch by again yarning over and inserting your hook into the next stitch, back loop only. 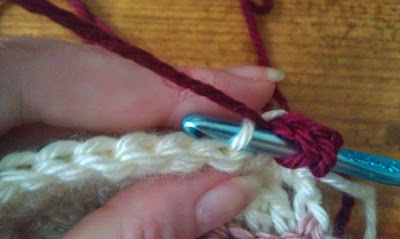 Yarn over once more and again draw through only two loops on your hook. You should now have this on your hook, the final move is to yarn over and draw through all three loops. This is what you should have once the stitch is complete! 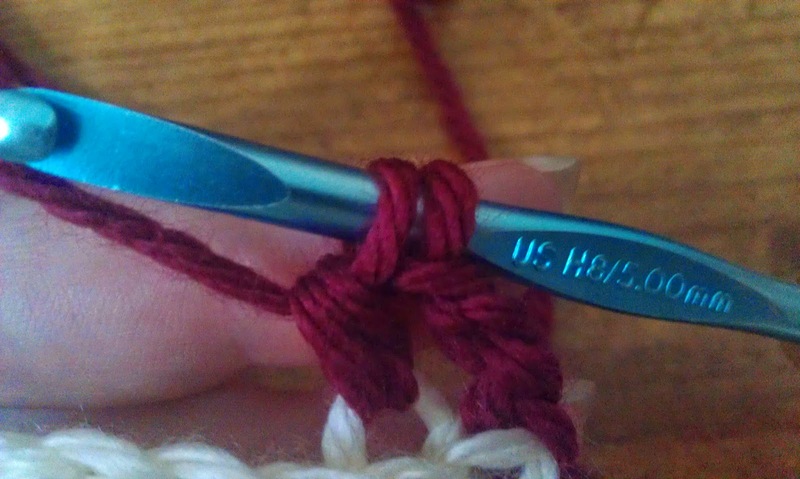 If you flip your work over, you can see where you've combined two stitches to make one. Six of these in a row is the valley of your ripple. 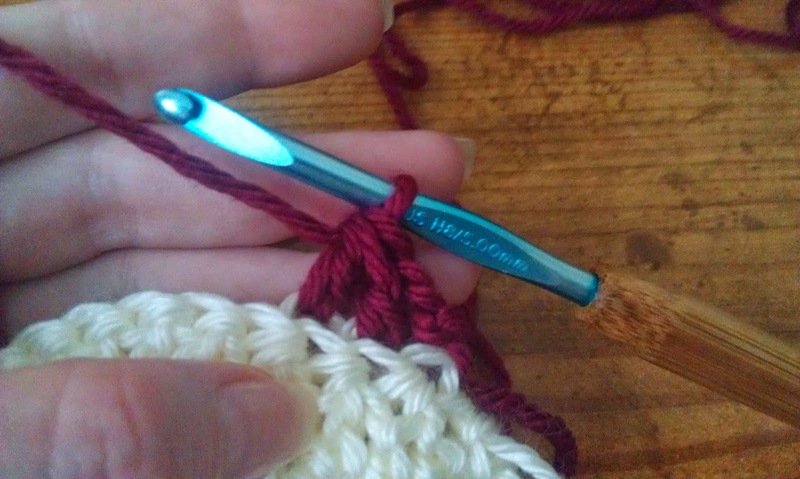 The other stitch is pretty straight forward. [3 dc into next stitch]x3. 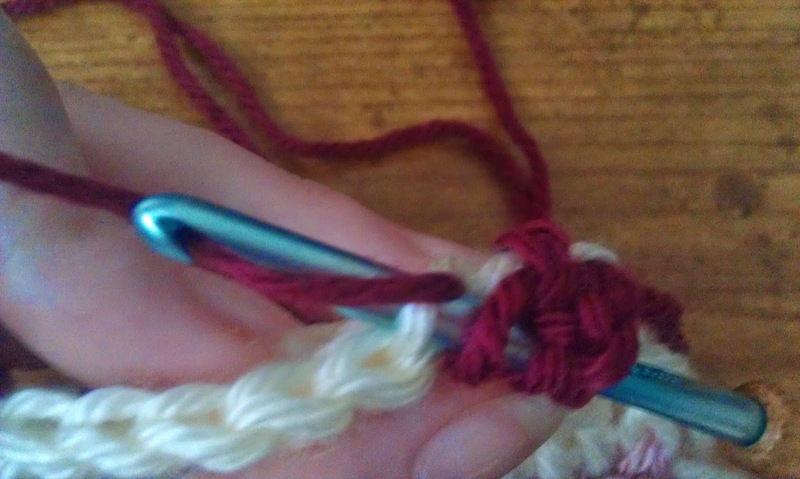 Again, using back loops only, make three double crochet in the next stitch, then another 3 dc into the next stitch and one final 3 dc into the next stitch. So you're using three separate stitches and putting 3 dc into EACH of them. 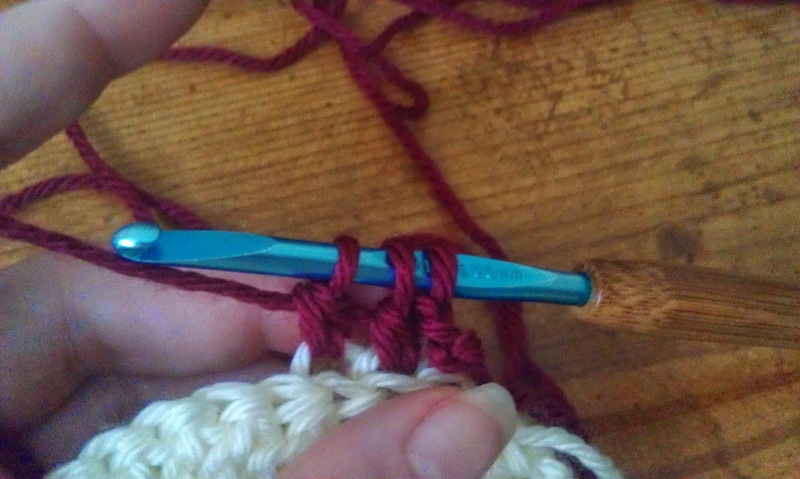 This is what it should look like- 3 groups of 3 double crochet. This is the hill of your ripple. When making your rows, you will always work in the back loops, regardless of what side you're working on. This is what makes it reversible. The first set of photos are from my test piece using Mauve/Fuchsia shades with an off white for contrast. The second photos use a Salmon and Pale Turquoise with an off white for contrast. 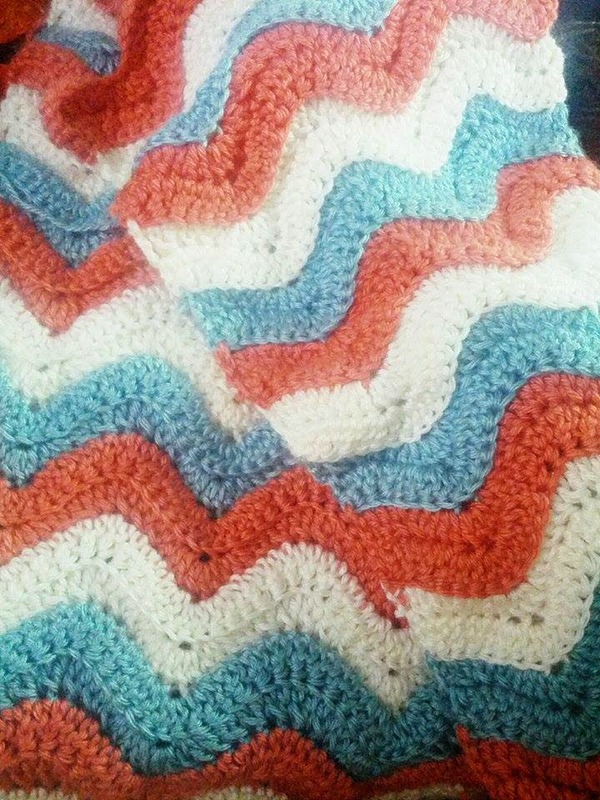 I am currently making this pattern as a lap blanket as well using some Bernat Satin yarn I had been hoarding away. Pictures to come soon! 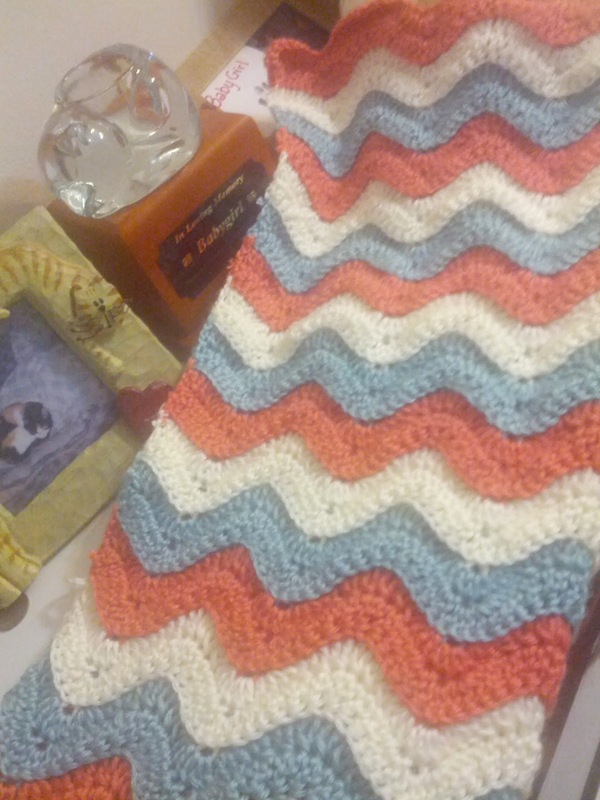 My Finished Size: 20" x 32"
Making two rows of each color, repeat row 2 until desired length. I didn't add a border to this because I like how neatly the edges worked up as you went along. 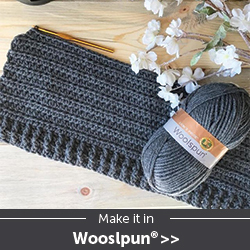 What quantities of each yarn do you need for this pattern? The amounts weren't shown. Thanks. I stopped at 32" on this one and didn't do an "official" finish to it. In all, I used 2 7oz skeins of each color. Hi there! The base chain for this is a multiple of 12 plus 3. Hope this helps! Hi, I don't believe that this would be advanced. You make it easy to understand. Thank you I will enjoy making this for the next addition to the family.